‘Henman Hill’, watching him being knocked out by the tennis legend Federar. But all and all, it was a brilliant day out, even though 3hr wait in the queue was a bit tedious. 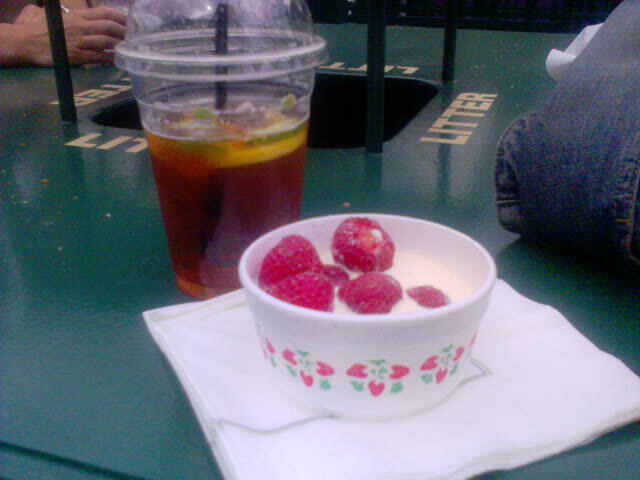 And of course, when at Wimbledon you certainly have to sample the Pimms and strawberries and cream. It would be rude not to! 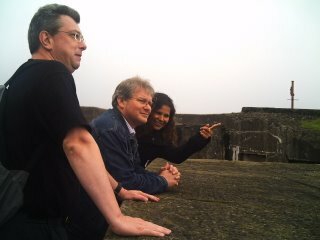 After a day at Wimbledon, I then travelled up to Dundee with Tim, Nishi & Andy for the 12th Dundee Blues Festival weekend. For those of you who don’t know what this, check out www.dundeebluesbonanza.co.uk – it’s a completely free blues music festival with over 100 acts across all the city centre pubs in Dundee. A fantastic time was had by all, even if Engurland did end up getting kicked out of the World Cup and Tim & Andy nearly got killed for supporting England in the Westie. 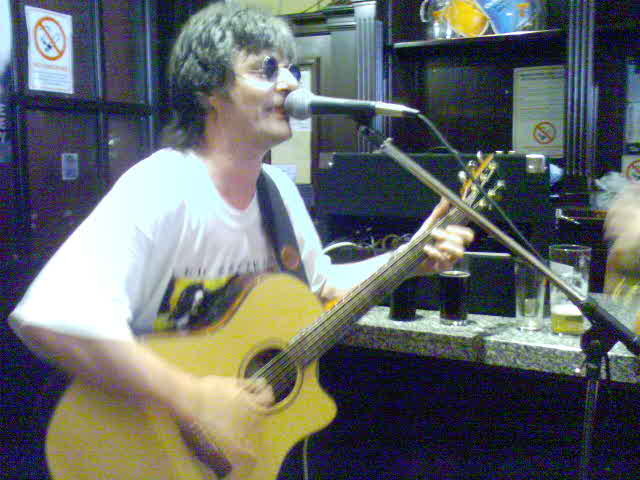 to name but a few….. the quality of music was just magnificant, and very varied with acts coming from all over the world. When we weren’t busy taking in the blues, there was also the oppertunity to take the guys on a bit of sight seeing around Scotland and Dundee, courtesy of my Dad driving us around Scotland! We went to Killin, the Trossachs, Loch Katrine – I think Nishi wanted to buy a castle or two along the way, but alas I just don’t think that we earn enough! What was amusing, was Nishi, Andy and Tim’s reaction to the ‘lack’ of traffic up in Scotland – these guys are way too used to London life! 16 Jul	This entry was published on July 16, 2006 at 11:51 am and is filed under Personal Blog. Bookmark the permalink. Follow any comments here with the RSS feed for this post.